The Health Act came into effect on 1st July 2007. The provisions most likely to affect churches are contained in the Smokefree (Signs) Regulations, which with related guidance may be viewed on www.smokefreeengland.co.uk. Places of worship and church halls (but not manses, etc., other than rooms used solely for work purposes) rank as smoke-free premises. 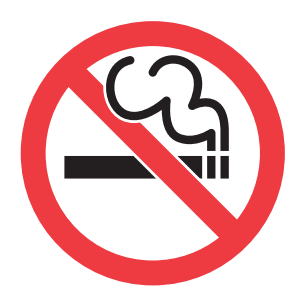 This means that there must be displayed “at the entrance” a no-smoking sign which is of A5 size; includes the no-smoking symbol, i.e. a graphic representation of a single burning cigarette enclosed in a red circle of at least 70 millimetres in diameter with a red bar across it; and contains, in characters that can easily be read by persons using the entrance, the words – “No smoking. It is against the law to smoke in these premises (or in this church or cathedral)”. The sign can be placed on a moveable stand or notice board rather than fixed to the wall. The Regulations do not apply to the burning of incense. Signs which conform to the Regulations can be downloaded from the website. These Regulations apply to England. Similar rules already apply to Scotland, Wales and Northern Ireland.